“I cannot understand that there are still no missionaries in China,” nine-year-old Hudson said as he and his sister Amelia were sitting on the couch with their father. “I often pray that I may become a missionary in China when I’m older.” When Hudson turned seventeen, the Lord heard his prayer and personally called him to go to China and proclaim His Name to the Chinese people. Hudson prepared for the journey by learning the Chinese language and studying to be a doctor. He began his journey when he finally had enough money. 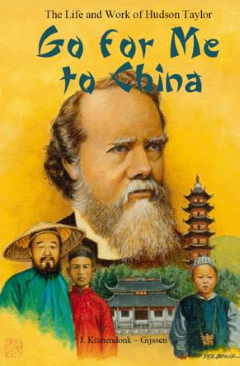 This book describes the life and work of the missionary Hudson Taylor (1832 – 1905). It was written for children ages 11 and older, but adults will also enjoy reading this remarkable story.